Head South from Warkworth passing through the city of Auckland. Leaving the city boundaries the landscape changes to lush rolling farmland. Crossing the Hauraki Plains - one of the biggest dairy producing regions in New Zealand - you’ll see many black and white friesian cows before crossing the Thames Estuary, a haven for shorebirds. A short detour to Miranda is worthwhile to see large flocks of oystercatchers and godwits, among others. Continue on through the historic gold mining town of Thames before following the Pohutukawa Coast to The Coromandel - named for the British Ship the HMS Coromandel, which visited the area in 1820. 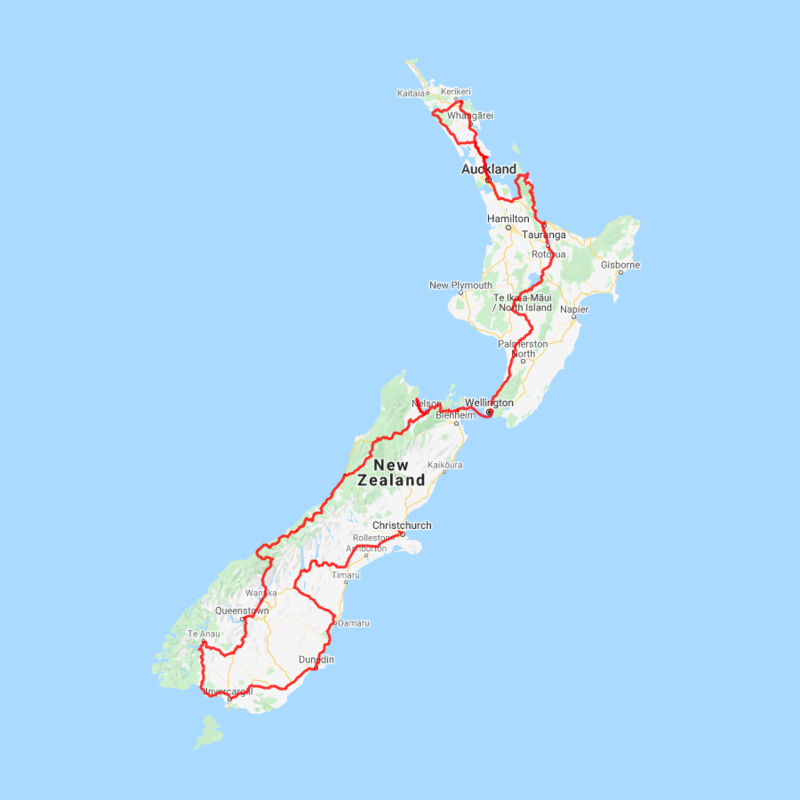 Head inland directly across the Peninsula passing several small towns including Kuaotunu and Waiata Bay before reaching your destination - Whitianga. Heading South and onto the Southern Scenic route the drive from Te Anau to Manapouri to Invercargill passes through some wonderful and often overlooked regions of Southland. The Blackmount Road offers some great side trips if you have the time and one in particular is the 50 kilometre round trip to Lake Haruoko, New Zealand's deepest lake. A little further south is the Clifden suspension bridge which dates back to 1899. The early sawmilling settlement of Tautapere is next. Known as the 'hole in the bush' the town features an attractive domain. Orepuki on the coast was once 'almost' a gold town but the fine dust proved too hard to extract commercially. You can still sometimes see gold dust in the beach sand at Monkey Bay. Riverton is Southland's oldest community established by whalers in the 1830's and many of the original cottages have survived throughout the town. The Riverton Early Settlers Museum tells the story well. The scenic route from Invercargill to Dunedin takes you via the Southern Scenic Route. Well signposted from Invercargill the route takes you along the rugged Otago coastline and its many secluded beaches and bays and many are great places to spot New Zealand fur seals and sea lions. At Nugget Point, penguins and elephant seals can also be spotted. Curio Bay is home to a 160 million year old fossilised forest. Get an early start for this drive as you can easily pass the whole day exploring the many attractions along the Southern Scenic Route. Heading north from Dunedin stop in Moeraki to explore the famous and unique boulders strewn on the beach. Another worthwhile stop in Moeraki is Fleurs - one of the finest cafes in New Zealand. Before heading inland along the Waitaki Valley you’ll pass through the historic township of Oamaru and it’s stone buildings. Take time to head into the old quarter and if your timing is right you may get to see some of the local resident little blue penguins. Continuing inland, you’ll pass through Omarama, known as the gliding capital of New Zealand and home to some of the country’s most productive merino sheep stations. Just North of Omarama is the township of Twizel, before you reach the turquoise shores of Lake Pukaki. As you travel along the lake take in the magnificent views of Mt Cook, New Zealand’s tallest mountain. A little further and you will arrive into Tekapo, your destination. From Lake Tekapo you descend from the high country through Burkes Pass and into rich farmland and the rural township of Fairlie. Beautiful Valley guides you to the town of Geraldine before you cross the vast Canterbury Plains back towards Christchurch City.